While the attention of the world community is drawn to the events in Syria, the Russian-separatist forces in ‘DPR’ use modern weapons provided by the Russian Federation. 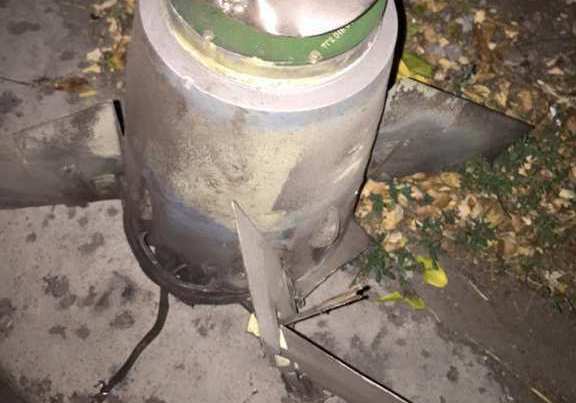 The international volunteer group InformNapalm found the evidence of usage of the Russian ‘Tor’ all-weather short-range surface-to-air missile system in Donetsk. The residents of the occupied Donetsk were disturbed by an explosion which resulted in car alarms triggering at 08:35 pm yesterday, on October 5. According to the locals’ reports there were around 3 powerful explosions. The militants reported that the servicemen of the Russian occupation forces allegedly shot down a drone of the Ukrainian army with the help of the air-defense systems. In addition to the above, no photo proofs of the hit drone were provided, but the pictures of the missiles’ parts were published. According to the source, these parts were found in Kuibyshevskyi District of the city. 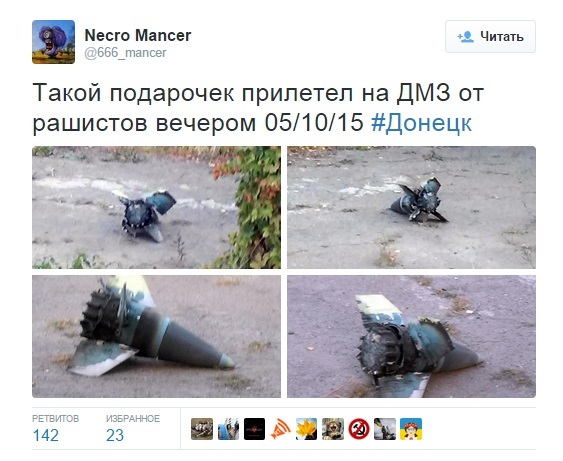 Other pictures of the missile fallen in the territory of the Donetsk Metallurgical Plant appeared in the internet as well. 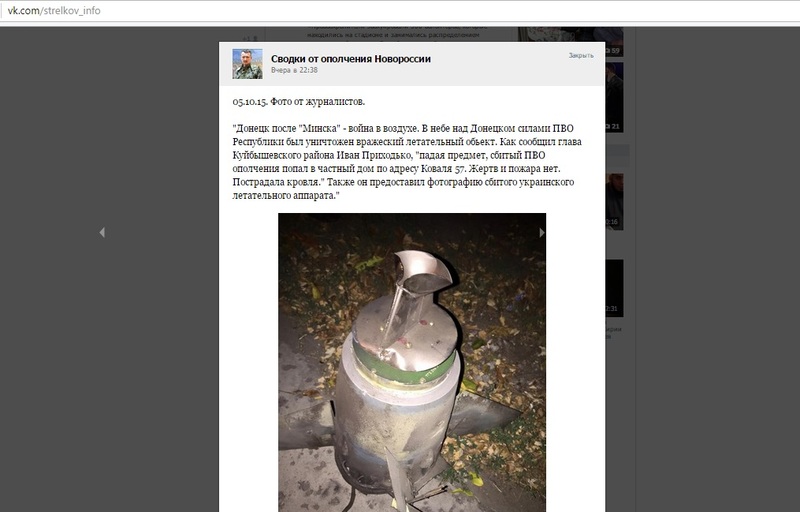 The InformNapalm team conducted a set of consultations with military experts and most of them recognized the remnants of the 9M330 ‘Tor’ system’s missile (GRAU designation code: 9K330, NATO reporting name: SA-15 ‘Gauntlet’). Please note that in January of 2015 the InformNapalm team already performed a video analysis and registered the transit of the Russian 9K332 ‘Tor-M2’ complex in Shakhtarsk (Donetsk Oblast, Ukraine), controlled by the Russian-terrorist forces. Thus, thanks to the mistake of the Russian propagandists who wanted to demonstrate another news about the destruction of the Ukrainian drone, our volunteers caught the Russian Federation on the act of deployment of the modern weaponry and equipment to ‘DPR’s militants. Also it is quite possible that the air-defense complexes are operated by the active Russian servicemen and not mercenaries.